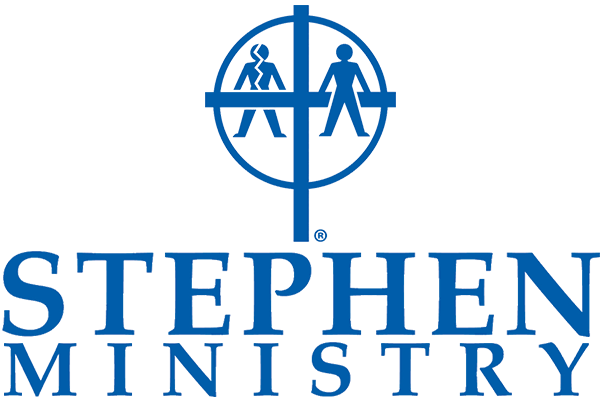 Below are the testimonies of Stephen Ministry Care Receivers which tells how the Stephen Ministry helped them through their lives difficult times. “On Nov 22, 2018 it will be exactly 10 years that my world came crashing down. My youngest daughter lost her battle with cancer. My oldest daughter was still recovering from her surgery for a double mastectomy for breast cancer. My husband was also still recovering from his first bout with cancer and surgery. I certainly had friends and family members who lost children and knew the devastation losses can cause for any family. In 2011 my grandson, my son’s oldest child (15 yrs.) accidentally overdosed experimenting with drugs. He had the most beautiful eyes, like my son’s and daughters’. And when I looked into his eyes I could see the face of God. I really thought the eyes were the mirrors of the soul. However in God’s name, could the light go out of this beautiful creation of God? I thought my religious beliefs and spiritual life were pretty set on a solid foundation. I was so wrong! I was so broken and in so much pain from the losses, I was sure I would never recover. When in 2016 we received devastating news that my daughter was facing her second battle with cancer and it was bad. I began to pray and pray, and finally beg God for a miracle. How could this happen to us again? In the 5 years between 2011 and 2016, my husband again had another surgery for a major cancer. My own health was failing and our stress was overwhelming. I truly was lost and so broken! God did not hear my prayers and there was no miracle for us. When I was hospitalized someone from the church visited with me. I poured out my heart – all the anger, loss and now bitterness. I didn’t blame God, but He certainly was not hearing my prayers or going to answer them. 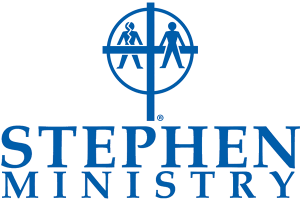 They left me with information about Stephen Ministry and said the ministry was starting in my parish and I might find it helpful. I’ve always believed God works in mysterious ways. Someone called from church to ask it I might be interested and explained to me what to expect. I was preparing for surgery on Sept. 25th, then leaving for Georgia to be with my daughter. I agreed to give it a try. I really had little hope that anything or anyone could help me. I was so broken, beyond repair. I felt cursed! Little did I know God was sending me help and hope and even a miracle. Even thought it was not the one I prayed for. On Oct. 17, 2017 we lost our second daughter to this insidious disease. We were with her during her last days. I whispered in her ear, it was OK to go to God. We would be fine. But my brain was screaming at God, stop this in sanity, she has suffered long enough. My daughter at that moment, took her last breath. God really hear me!! At her funeral, the one she planned, she asked that we release Monarch butterflies for her. My son bought 58 – one for each year of her life. When he pulled the ribbon and her butterflies began their flight, I looked down on my chest. There was this large beautiful Monarch, right on my heart. I was frozen in space, just staring at it. It was so magical. I just knew this was a sign from my daughter, she was with God. The experience was such a blessing from God – I just knew it. Maybe, no miracle, but a beautiful blessing. When I came home, I went into therapy to deal with my grief. However, I knew I was spiritually broken and needed help to repair my relationship with God. . . I do believe that God has been with me all during this awful time. He sent me a faith angel! . . . She has been here to give me unconditional love and support and so much encouragement. She has walked beside me for a year now. I know I can count on her non-judgmental, caring ways, to help me work through these forces of hell! Because that is what all this felt like. I know she was sent to me because of God’s blessings. I know, she is blessed by the Holy Spirit and with and through the Holy Spirit she counsels me! With my sincere love and gratitude – this care receiver feels so blessed. “I wanted to be sure to let you know how much the Stephen Ministry, and in particular Barbara, my Stephen Minister, mean to me. Barbara came to me at a very dark time in my life. I had just lost my mother who was also my best friend. I felt so alone and had a feeling of desolation and depression. I know you are struggling with doubt, but deep inside your spirit I have given you faith to move mountains. Let my precious promises wash your doubts away. I will never leave you, fail you, or forsake you. I am always with you; you are never alone. When you feel like giving up, cast your care and burdens upon me. Rest in my arms and trust me to take care of all that concerns you. I love you. Lift your eyes to the Heavens, for I am your help. Call on me and I will restore you. Hope in Me, for I am here. This is a testimony of a Stephen Ministry Care Receiver who eventually became a Stephen Minister. “My calling to become a Stephen Minister was not without heartache. Five years ago, I came home from my part-time job to find out my husband had lost his job after being with his company for 20 years. Overnight our family income dropped 70%, our youngest son was a senior at St. Augustine, our oldest son was a senior at Drexel. At the age of 57, my husband struggled to find another job with no college degree, a lingering recession & a quick reality that you now applied for jobs online. Since he was a teenager, he never had difficulty getting a job. Now he found himself unwanted, a “has-been” & fell into a depression. This became the darkest crisis in our 24-year marriage. I became overwhelmed, fearful of our financial problems, isolated & alone, reluctant to trust anyone for help. My husband & I drifted apart. His pride prevented him from asking anyone for help. There were things I could not tell my own family. I wondered if God heard me, my cries or my prayers. I fell into my own deep, dark well, with no ability to climb out. The time came when I realized I could not solve these problems alone, it was time to trust someone & ask for help – I reached out to Fr. Sanjai & the Stephen Ministry here at Holy Family. Very slowly, with much patience & compassion, my Stephen Minister walked with me on a faith journey literally bringing me to my knees to ask for God’s help. Each hour we spent together, she gave me a safe & supportive place to express all my emotions, some I wasn’t proud of. She always greeted me with a smile & genuine concern & helped my relationship with God to grow. When solutions were not apparent, she taught me how to focus on the face of God, asking him to help me get through that one day, to lean on my faith as I had never done before. I learned to trust God again, that he may not always give us what we want, but to believe he always gives us what we need. Together we shared prayer & scripture, then over time, I began to see that God was present in my life all along, carrying my husband & myself. He put loving family, friends & opportunities in front of us leading us to solutions but more importantly to help save our marriage. I persuaded my husband to see his own Stephen Minister. Unexpected doors opened over time enabling us to get back on our feet financially. Being grateful to God & wanting to find a way to give back, two years ago the opportunity opened up to become a Stephen Minister here at Holy Family. Remembering the depths & pain of my own crisis, it was important for me to learn how to share the loving grace of God, to help those so distraught, afraid & lonely. I know it was part of God’s plan that my first care receiver suffered from her own job loss. To have the ability to give back, to be the one who now listens patiently, giving my care receiver a safe, non-judgmental, trustworthy place to express her thoughts & feelings she cannot share with anyone else. To pull her out of her own deep dark well & help her see God has not abandoned her in her pain. Thank you for your time but especially for your service to our Stephen Ministry. “It is now time to say good-bye, yet I don’t want to. This is so difficult for me. You have guided me through the worst of my journey, and I have come out on the other side ready to face life’s challenges and enjoy life for myself and children from a whole new perspective. I have learned so much about myself as I have continued to heal emotionally and grow spiritually. I promise to continue along this path. I have many strategies in place. I will take all the life lessons into my future. I wish you could truly feel what is in my heart right now because you would know the depth of my gratitude has no end. Each and every time I needed to look deeper into my words or actions, you were able to get me to do just that. When I needed to vent, you just listened and reassured me that my feelings were all normal. When I was not calm or patient, you reminded me that I could get to that place again. Thank you for the journal and book. They have allowed me to reflect upon many issues that I faced. I really did not know which direction to go in. I was lost, but also knew that at the core of my being was a good soul. You have a true gift of being a good listener, supporter and someone who can guide a person along patiently, understanding that whatever challenges the person faces can be dealt with through faith. I believe in myself. I have learned to turn to God and the angels more to comfort me and give me strength in the toughest of times. I have opened my eyes, heart and mind. I see beauty all around me. I am a determined, sensitive, and genuine person. I know that all the good has come back to me by way of a stronger faith. I have learned to really trust in God. I am myself again. I love that! I am at peace. Thank you, God, for who I am. I am beautiful in so many ways. I am strong. I am worthy of respect, friendship, love and commitment. I say those words today with a different meaning. There is no anger or resentment, but only belief that I am truly worthy. Thank you, my friend, my angel, for all of the support you have given me. I knew from the very start you were meant for me. I am so grateful. I am glad I opened my mind to let you in. You have come to know me as much as those closest to me all my life. I am crying. I am sad, and I am happy. I am truly in a good place in my life, and that feels great! I know I will live a good life and appreciate all the goodness God has granted me. I have so much to be thankful for. My road does not end here. It will be a lifelong journey. I know how to handle the dirt, gravel, and jagged rocks. My road is now a smoother one leading only to good things that I allow in my life, while keeping out less positive things. My kids now have a more balanced mom, one who is at peace, I will live my life filling theirs with positive experiences also. I will do my best to be patient and let the small things go. They deserve the best of me.